Modern Machanix has done us all a great favor and scanned five pages from the fist issue of Popular Mechanics. These five pages in particular should interest you because they provide great insight as to how Snow White was made. Its a great read! Click here to read it. Another classic 1943 Bob Clampett cartoon. This time its everyone’s favorite rabbit, Bugs Bunny, starring in Falling Hare. Enjoy this classic 1938 Bob Clampett toon where Porky Pig goes hunting through a surreal landscape to find the Do-Do Bird. Disneyâ€™s KIM POSSIBLE is set to debut its 4th season on Toon Disney, beginning Mar. 26, 2007, with three new episodes following the season 3 feature film finale, SO THE DRAMA. Episodes of the series will air Mondays at 4:00 pm, beginning April 2 on Toon Disney. Jerry Beck makes a great point when he mentions that now is the time to release all the classic cartons from Time Warner (parent company of AOL), News Corp., and NBC Universal who own such classicsÂ as Looney Tunes, Crusader Rabbit, and Woody Woodpecker. I highly recommend checking out his post by clicking here. 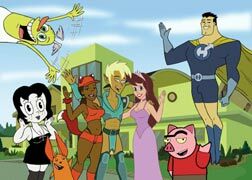 Matt Silverstein and Dave Jeser, creators of DRAWN TOGETHER, have signed a development deal with FOX. According to sources, the deal is in the seven-figures and will last two years. During that time, the duo will be developing new comedies as well as working on FOX series already in production. 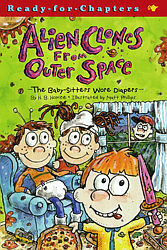 ABC Kids has acquired 52 eleven minute episodes of Alien Clones from Outer Space, based on the books by Simon and Schuster, which follow twins Barton and Nancy Jamison and their adventures with alien clones who land in their hometown and end up living in the attic. 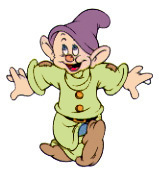 The series will premiere in October 2008. Warner Home Video today announced that they will release two classic cartoons, The New Adventures of Superman and The New Adventures of Batman as two separate 2-Disc Collector sets on June 26, 2007 for $26.99 each.The New Adventures of Superman DVD set will feature 36 episodes while The New Adventures of Batman will feature 16 episodes. Fans of Cartoon Network’s Ben 10 will soon be able to ride around town in their very own Ben 10 bicycles thanks to a new deal formed with Huffy and Bell Sports. Huffy will produce a line of Ben 10 inspired bicycles for the United States and Canada. Bell Sports will develop a full line of helmets and protective gear including knee and elbow pads as well as wrist guards. CNE has also partnered with Bravo Sports, which will manufacture Ben 10 skateboards. 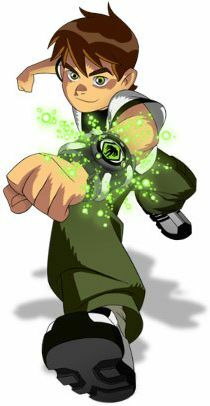 Ben 10 launched in January 2006. 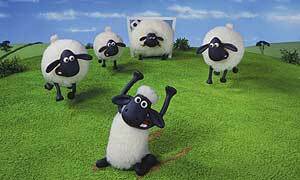 The series was recently approved for a fourth season and can be seen on Cartoon Network Tuesday through Friday at 4 p.m.
Aardman International has sold Shaun the Sheep to Nickelodeon Benelux, Spain, India, Australia and New Zealand. The series will launch in Benelux in April, Spain and India in May and Australia and New Zealand later in the year once it has broadcast on ABC and TVNZ. DMGI will be adding all 200+ Gumby episodes to Youtube to celebrate the 50th anniversary of the show. Below you will find the first episode titled “Gumby on the Moon.” Enjoy.